Zoox, the secretive Silicon Valley startup working to build its own self-driving cars, has quietly raised $50 million (in October) in a Series A round led by Composite Capital Management, a Hong Kong-based hedge fund. This brings Zoox’s total equity funding to $290 million. “At Zoox what we’re creating is not a self-driving car any more than the automobile is a horseless carriage. We’re not building a robo-taxi service; we’re actually creating an advanced mobility service,” said founder Tim Kentley-Klay in October. “Zoox is developing fully autonomous vehicles and the supporting ecosystem required to bring the technology to market at scale,” according to a Zoox post on LinkedIn. “Sitting at the intersection of robotics, machine learning, and design, Zoox aims to provide the next generation of mobility-as-a-service in urban environments. Kentley-Klay, an Australian designer, is working on the stealthy startup with Jesse Levinson, who worked at Stanford University with Sebastian Thrun, co-creator of Google’s driverless car project. Earlier in May 2016, it was disclosed that Zoox would be deploying a fleet of fully autonomous vehicles by 2020 for ride-sharing services like those Uber offers. 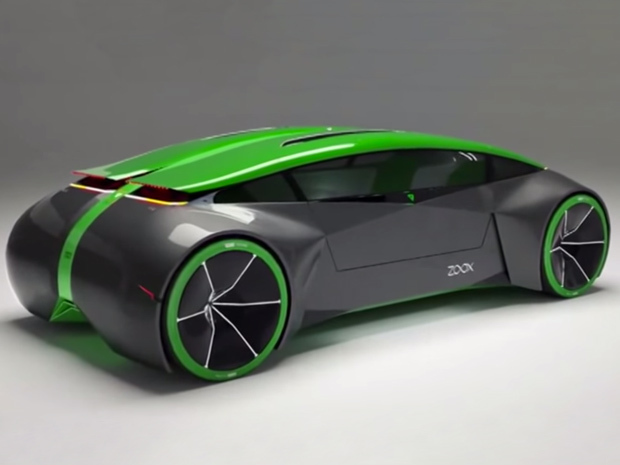 Zoox’s description says: “Zoox is developing a breakthrough, fully automated, electric vehicle fleet and the supporting ecosystem required to bring the service to market at scale: autonomous mobility as a service. Zoox is one of a dozen California companies that have received permits to test drive autonomous vehicles in California. Zoox got their permit in March 2016. Ford, Honda, BMW, Cruise Automation, Nissan, Bosch, Tesla Motors, Delphi Automotive, Google, Mercedes-Benz and Volkswagen were the others. Safe Car News, a website, said, “Uber has been working on its own autonomous-vehicle project, following in the footsteps of Google and Apple Inc. The automotive industry is finding itself competing against fast-moving tech companies [such as Zoox] that are new to the world of cars and threatening to upend a century-old industry.